All the sorrows of Evan Shepard's loutish adolescence were redeemed at seventeen, in 1935, when he fell in love with automobiles. His persistent bullying of weaker boys, his thick-witted ways of offending girls, his inept and embarrassing ventures into petty crime - none of those things mattered any more, except as bad memories. He had found a high romance in driving fast and far, over most of Long Island, and he soon attained intimacy with the mechanical parts of any car he could get his hands on. For whole days at a time, meticulously taking a car apart or putting it together in the dust of his parents' driveway, Evan would be lost to the world. Cold Spring Harbor is my third Richard Yates novel this year, and fourth overall. 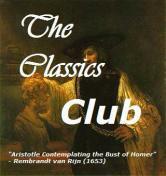 I've also read many of his short stories and a wonderful biography. It's time to start working on a Yates wrap-up post! There wasn't much time for reading, but I hope to finish Cold Spring Harbor by Richard Yates today or tomorrow. After that, I'll take a break from Yates and try something a little lighter and funnier. 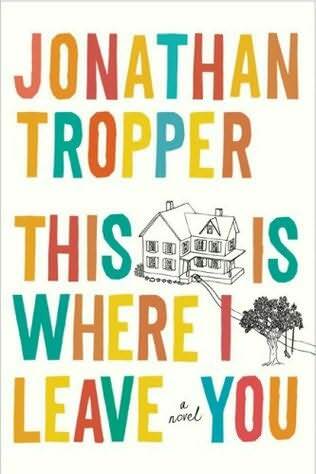 Sandy's review makes This is Where I Leave You by Jonathan Tropper sounds like a perfect choice... and I just picked up a copy for $3.99. 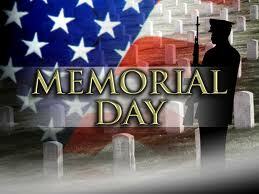 Memorial Day marks the unofficial beginning of summer here in the US. I'm more than ready to welcome the season! 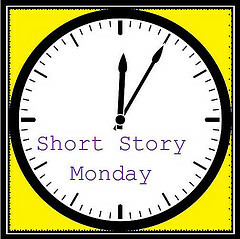 Kate Chopin's "The Story of an Hour" was the subject of my first Short Story Monday post two years ago. I give it partial credit for renewing my interest in short stories and have been meaning to return to Chopin ever since. Over the weekend, I had a chance to read "A Morning Walk". It was featured as a Library of America's Short Story of the Week last month and originally appeared as "An Easter Day Conversion" in the Criterion (St. Louis) in April, 1897. Archibald had been up many hours. He had breakfasted, and now he was taking a morning stroll along the village street, which was little other than a high ledge cut into the mountain-side. It goes on to give a detailed description of Archibald's physical qualities, as well as the natural surroundings. While walking, he meets a young girl with a bunch of lilies and carries them for her. They eventually arrive at church, and we learn it is Easter morning. To everyone's amazement, Archibald follows the girl into the church, takes a seat, and begins to listen to the sermon. It crept into the consciousness of Archibald, sitting there. As he gathered it into his soul a vision of life came with it; the poet’s vision, of the life that is within and the life that is without, pulsing in unison, breathing the harmony of an undivided existence. He listened to no further words of the minister. He entered into himself and he preached unto himself a sermon in his own heart, as he gazed from the window through which the song came and where the leafy shadows quivered. Strange. Apparently, Archibald has had a conversion of sorts. I didn't really like the story and don't know what else to say about it. It can be read here if you are interested. It's been another week of reading Richard Yates here at Lakeside Musing. 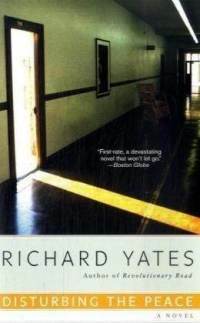 I finished A Tragic Honesty: The Life and Work of Richard Yates by Blake Bailey last Sunday. It is, without doubt, the best literary biography I have ever read and I cannot recommend it highly enough. Thank you again, Rachel, for bringing this book to my attention. My review should be ready soon. Monday found me searching Barnes & Noble for more Yates novels. I bought two and started Disturbing the Peace that evening. The first paragraphs immediately drew me in and established the Yatesian tone I have come to expect. 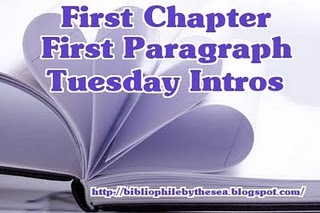 You can read them for yourself in my Tuesday Intro post. The rest of the week was pretty much a blur of activities, but I managed to squeeze in a little reading time each evening. 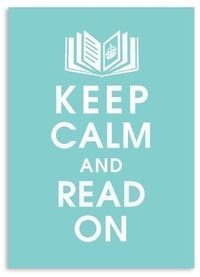 I will finish Disturbing the Peace today and plan to forge ahead with another Yates novel, Cold Spring Harbor. It may be quieter than usual around here this week, but not because of BEA or Book Blogger Convention. Instead, I'll be helping Daughter #1 prepare for her summer internships in New York City. We move her in next weekend, just as all the book bloggers leave town. Finally, congratulations to Frances of Nonsuch Book. She is the winner of Jane and Prudence by Barbara Pym. Frustration following the Great Blogger Debacle has subsided, but I'm not up to recreating the vanished review of Jane and Prudence by Barbara Pym. Still, it should not go unmentioned. Jane and Prudence are unlikely friends. Jane is ten years older, unfashionable, incompetent in her role as vicar's wife, and totally inept at homemaking. Prudence, a single, very fashionable, working woman living in the city, is famous for her string of unsuitable boyfriends. When Jane's husband accepts a position in a rural parish, she sets out to find the perfect mate for her friend. As you may guess, Jane's matchmaking skills are not quite up to par either. The novel, centered around domestic/parish life, steeped in English culture and values of the time, and featuring plenty of tea drinking, was exactly what I have come to expect from Barbara Pym. This cozy, relaxing read provided the perfect beginning for my recent Florida vacation. I only wished I'd packed Some Tame Gazelle, too. Pym's novels can be difficult to find here in the United States. I'm giving away my gently read copy of Jane and Prudence on Sunday. If you're interested, leave me a comment here. I started another Richard Yates novel last night. The first couple paragraphs of Disturbing the Peace immediately drew me in and established the 'Yatesian tone' I have come to expect. 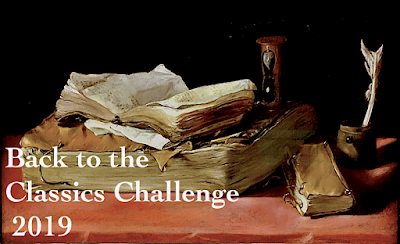 Tuesday Intros, a new event at Bibliophile by the Sea, offers the perfect opportunity to share. 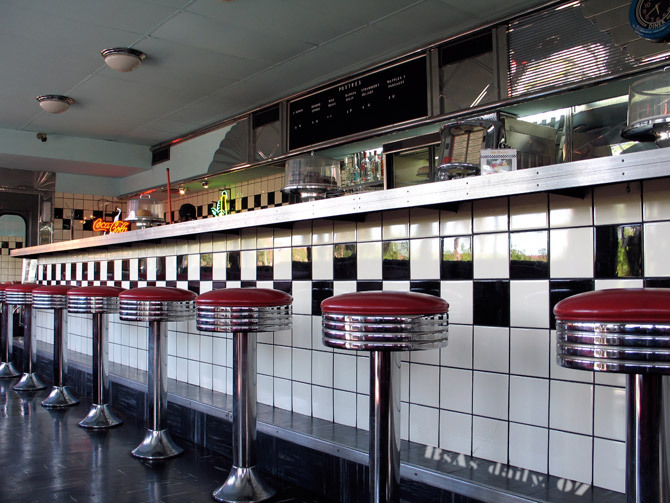 "Everything began to go wrong for Janice Wilder in the late summer of 1960. And the worst part, she always said afterwards, the awful part, was that it seemed to happen without warning. She was thirty-four and the mother of a ten-year-old son. The fading of her youth didn't bother her--it hadn't been a very carefree or adventurous youth anyway--and if her marriage was more an arrangement than romance, that was all right too. Nobody's life was perfect. She enjoyed the orderly rotation of her days; she enjoyed books, of which she owned a great many; and she enjoyed her high, bright apartment with its view of midtown Manhattan towers. It was neither a rich nor an elegant apartment, but it was comfortable--and 'comfortable' was one of Janice Wilder's favorite words. She was fond of the word 'civilized', too, and of 'reasonable' and 'adjustment' and 'relationship'. Hardly, anything upset or frightened her: the only things that did--sometimes to the point of making her blood run cold--were the things she didn't understand." Virginia Woolf once said Katherine Mansfield produced "the only writing I have ever been jealous of." Woolf also wrote "... the more she is praised, the more I am convinced she is bad." Although Bertha Young was thirty she still had moments like this when she wanted to run instead of walk, to take dancing steps on and off the pavement, to bowl a hoop, to throw something up in the air and catch it again, or to stand still and laugh at - nothing - at nothing, simply. Bertha has a handsome husband, a lovely young daughter, and a beautiful home and garden. She marvels at the beauty of a fruit arrangement and at the pear tree in the garden. The tree becomes one of the central images in the story suggesting fertility or sexuality. Bertha is overcome by an intense feeling of bliss as she prepares for a dinner party that evening. A stream-of-consciousness narration is especially effective in telling the story. Friends arrive and the party is a success. After the meal, Bertha shares a moment of understanding with her new friend, Miss Pearl Fulton, as they gaze upon the garden. And the two women stood side by side looking at the slender, flowering tree. Although it was so still it seemed, like the flame of a candle, to stretch up, to point, to quiver in the bright air, to grow taller and taller as they gazed - almost to touch the rim of the round, silver moon. How long did they stand there? Both, as it were, caught in that circle of unearthly light, understanding each other perfectly, creatures of another world, and wondering what they were to do in this one with all this blissful treasure that burned in their bosoms and dropped, in silver flowers, from their hair and hands? The actions of Bertha's husband suggest he may not like Miss Fulton, so Bertha vows to change his mind when they talk in bed later that evening. The reader then comes to understand Bertha's feeling of bliss as newly awakening desire for her husband. When the guests are leaving, Bertha witnesses a startling exchange between her husband, Harry, and Miss Fulton. Is the exchange real? Has Bertha misunderstood or imagined it? The story ends abruptly with no resolution, just another image of the pear tree " as lovely as ever and as full of flower and as still." I loved this story! "Bliss" was one of Mansfield's last, written in 1920, just three years before her death at age 34. It shows the work of a more mature writer and I cannot help but be reminded of Mrs. Dalloway, published five years later in 1925. You may read the story here. Good morning! It's been a frustrating week for those of us on Blogger. 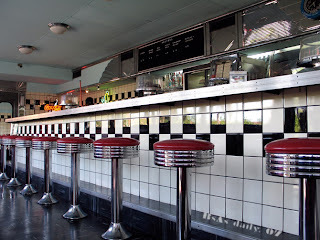 We experienced radio silence much of Thursday and Friday as Blogger entered 'read only' mode. Evidently Wednesday night's scheduled maintenance uncovered some data corruption, so all posts and comments published Thursday were removed. Unaware this was happening, I spent Thursday afternoon working on a review of Jane and Prudence by Barbara Pym, saved it as a draft, and planned to hit the publish button Friday morning. Thursday evening, realizing how eerily quiet things were, I became aware of the problem. Every Blogger post I'd read and commented on that morning was gone. We joked about it on facebook and twitter, then used the time to catch up on non-blogging obligations. Friday morning, I tried to publish the review. Not only was Blogger still down, but the draft I'd written on Thursday was gone! I'm frustrated, have no time to rewrite the review, and am wondering if Blogger has plans to restore drafts once they finish with comments. 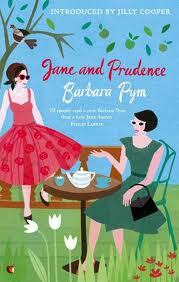 Jane and Prudence was every bit as enjoyable as my first two Barbara Pym novels. It was the perfect beginning for our recent Florida vacation. Pym's novels are difficult to find in the United States, so I'd like to share the love by giving away my gently read copy. If you are in the US and would like to read Jane and Prudence, let me know in the comments. I'll choose a winner next Sunday morning. If my draft reappears (or if I have time for a rewrite) the complete review will appear later this week. Grrrr, Blogger! After attending a Confirmation Brunch for my cousin's son, I hope to finish A Tragic Honesty: The Life and Work of Richard Yates by Blake Bailey. There are just over 100 pages to go (it's a 600+ page book), but this is the best literary biography I've ever read. A trip to the bookstore for more Yates novels is definitely on my agenda this week. What are your plans for today? Did the Great Blogger Debacle have an impact on your week? Farmers' market season in central New York is underway at last. Every Saturday, shoppers in villages across the area stroll the green, talk with farmers, vendors, and friends, and stock up on the freshest goods available. 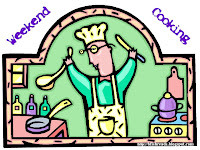 When the season is in full swing, music and the aroma of a chicken barbecue often fill the air. There isn't much in the way of local produce yet, but a wide variety of organic vegetables, meats, baked goods, plants and crafts were available. Weekend Cooking is open to anyone with a food-related post to share: Book reviews, cookbook reviews, movie reviews, recipes, random thoughts, gadgets, fabulous quotations, photographs. 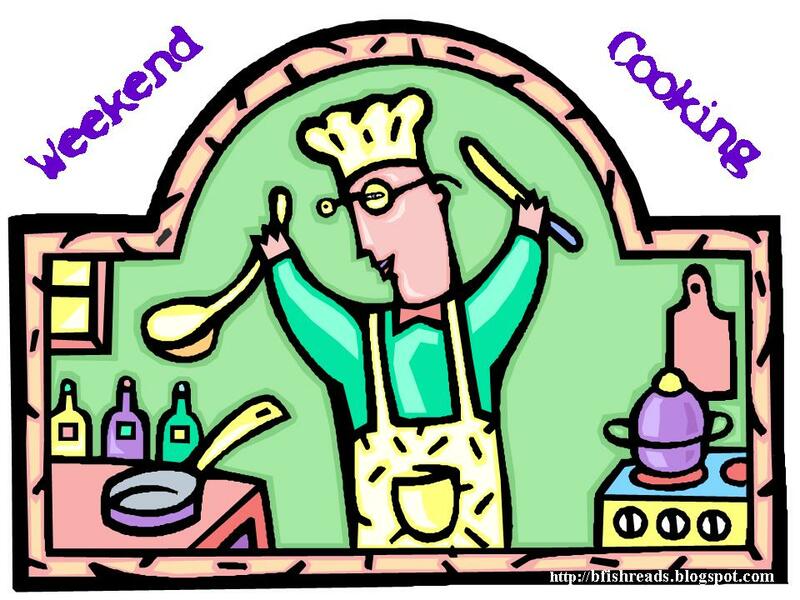 If your post is even vaguely foodie, feel free to grab the button, head over to Beth Fish Reads, and link up anytime over the weekend. My flowers are in ruins. 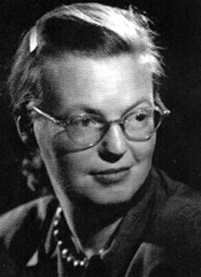 Shirley Jackson (1916-1965) is not generally associated with humor. "The Lottery", her most famous story, is nothing short of gruesome, and funny isn't an adjective I'd choose to describe We Have Always Lived In The Castle either. "The Night We All Had Grippe" introduces a side of Shirley Jackson I had never imagined. We begin with a family that is 'very fond of puzzles'. The mother, our narrator, explains The Great Grippe Mystery and asks the reader's help in trying to figure out what has become of a blanket (as they are 'very short of blankets'). A detailed description of the floor-plan, bedroom furniture arrangement, bedtime drink preferences, color of bedding and ambient temperature in each room follows. It reads like a word problem from grade school math - the kind that's filled with confusing, extraneous information. I'm already smiling at this point. The entire family becomes sick at the same time (an all to familiar occurrence, at least around here). "In our family, we take ill in different manners; my husband is extremely annoyed at the whole procedure, and is convinced that his being sick is someone else's fault, Laurie tends to become a little lightheaded and strew handkerchiefs around his room, Jannie coughs and coughs, the baby turns bright red, and I suffer in stoical silence, so long as everyone knows clearly that I am sick. We are each of us privately convinced that our own ailment is far more severe than anyone else's." A night of musical beds ensues as blankets, pillows, and nightstand supplies move from room to room with their owner. This section had me literally laughing out loud. "The puzzle, is, of course, what became of the blanket from Baby's bed? I took it off her crib and put it on the bottom half of the double-decker, but the dog did not have it when when he woke up, and neither did any of the other beds. It was a blue-patterned patchwork blanket, and has not been seen since, and I would most particularly like to know where it got to. As I say, we are very short of blankets." "The Night We All Had Grippe" was originally published in Harper's in 1952 and collected in Come Along With Me in 1968. It is this week's featured story from Library of America and can be read in its entirety here. Happy Mother's Day! Our day is packed with activities, and since there's no time for a normal Sunday Salon post, I'll borrow the meme Simon shared on Friday. 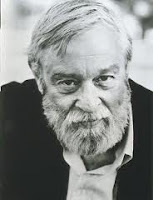 I've been on a Richard Yates kick lately and this biography by Blake Bailey is fantastic. I started Little Boy Lost yesterday, too. The Report by Jessica Francis Kane - my review is here. or perhaps one from the shelf? The library in Sanibel has an on-going book sale room. I purchased these two for three dollars. See number two above... it came from a fellow book blogger (thanks again, Lynne!). Let me know if you decide to play along with One Book, Two Book. Simon is collecting links, too. In March 1943, on a night no bombs were dropped, one hundred seventy-three people died in a crush at an air-raid shelter in London's Bethnal Green tube station. Thirty years later, the production of a television documentary causes both survivors and government officials to re-examine their actions. Both timelines are woven together in The Report. Reading fiction has expanded my knowledge of World War II again. Last year, I learned of the 1942 Vel d'Hiv roundup in Paris through Sarah's Key. Now, reading The Report, I've been made aware of the 1943 Bethnal Green tube station disaster. After a horrific crush in a tube station air-raid shelter, local magistrate Laurence Dunne is assigned the task of conducting an inquiry and filing a report. There were no bombs dropped that night, and his interviews turn up surprising evidence pointing to truths that could prove damaging. Should they be included in the report? Is is better to give people all the answers, or just what he thinks they need? How would assigning blame, or not, change the course of lives? Hundreds of Londoners are forever altered by the events of that one fateful night yet, despite the subject matter, the book is not depressing. Thirty years later, Dunne is approached by a young man producing a television documentary to commemorate the anniversary. Dunne eventually warms up to him and agrees to cooperate with the project. In doing so, he holds his actions up for re-examination. Old wounds are also reopened for survivors. Kane flawlessly weaves the two time periods together into an unforgettable narrative. 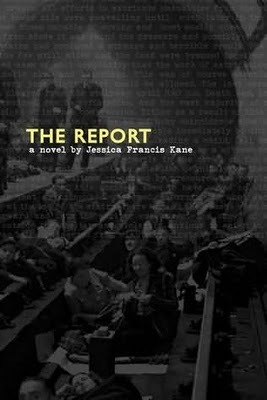 A fascinating fictional look at a very real disaster and its aftermath, The Report would make an excellent book club selection. Very highly recommended.